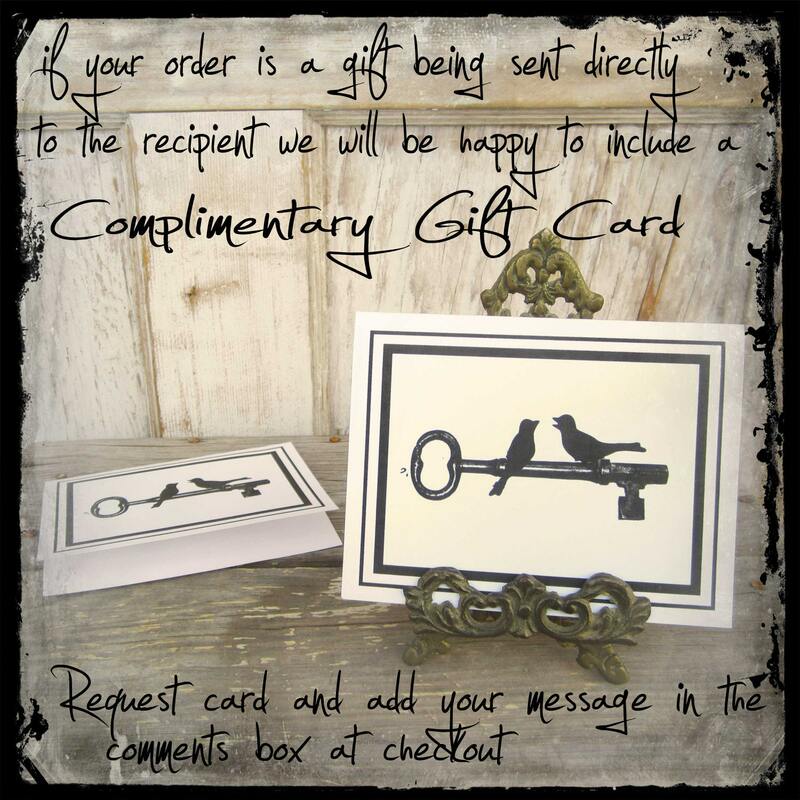 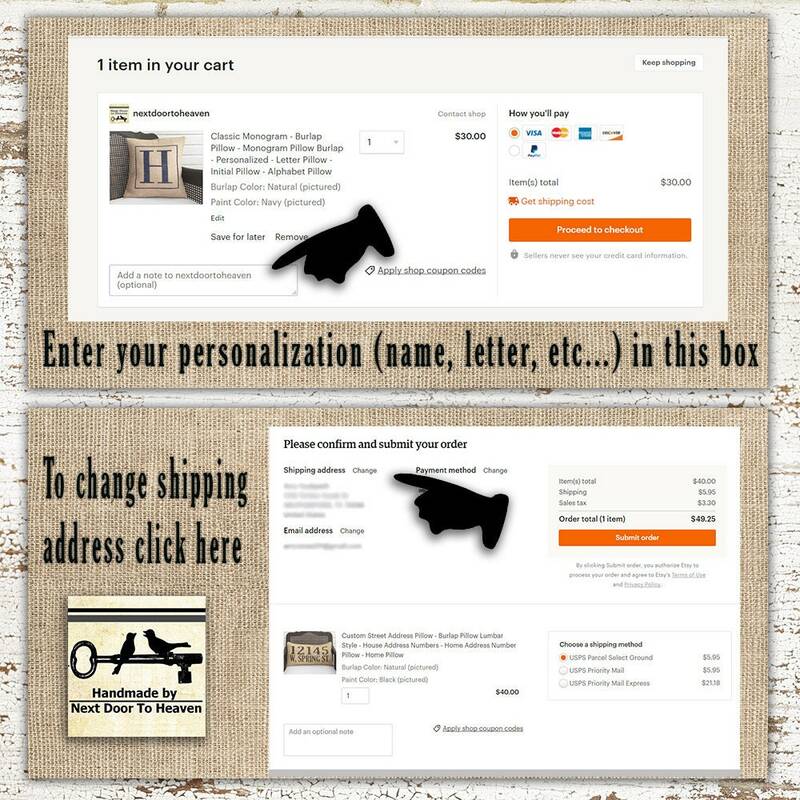 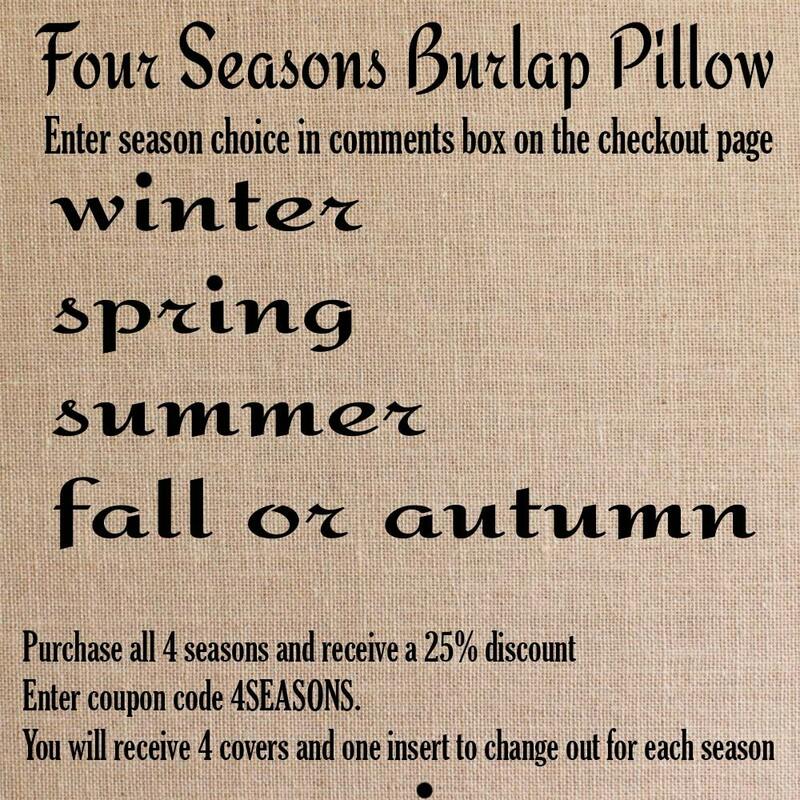 Please indicate which season you would like in the comments box on the checkout page. 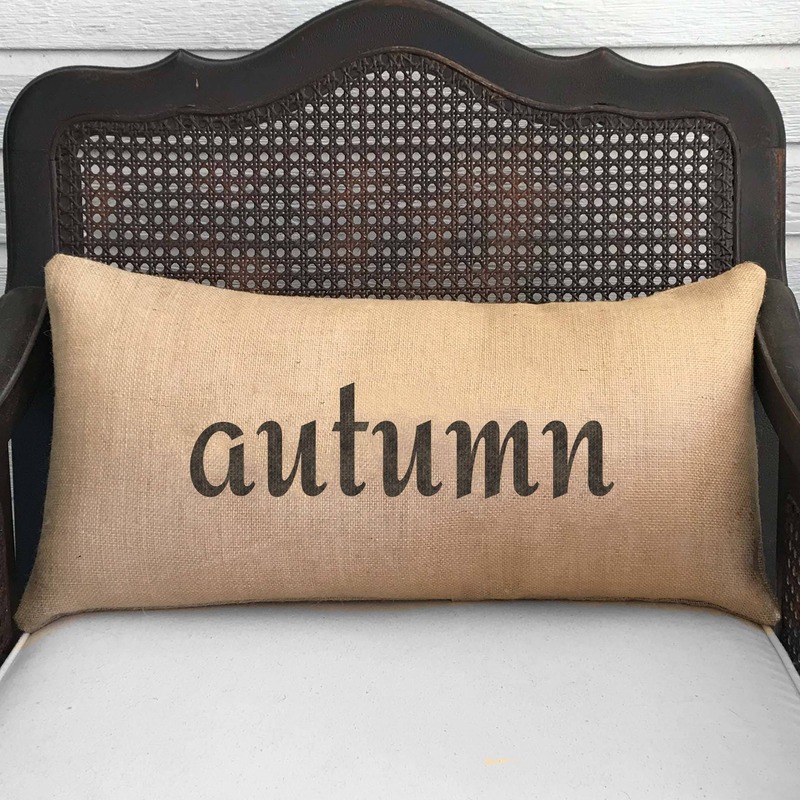 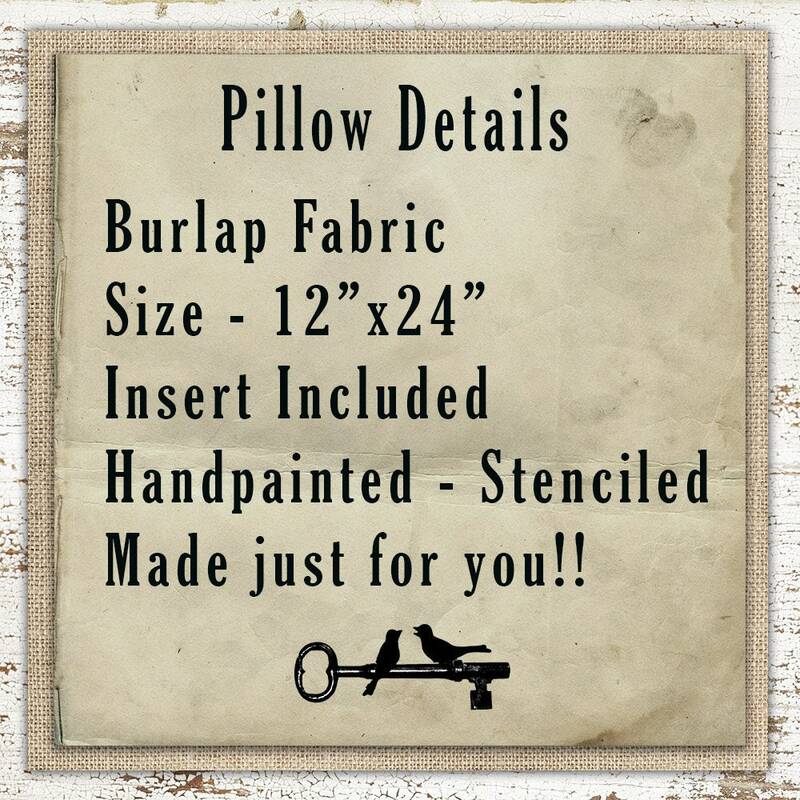 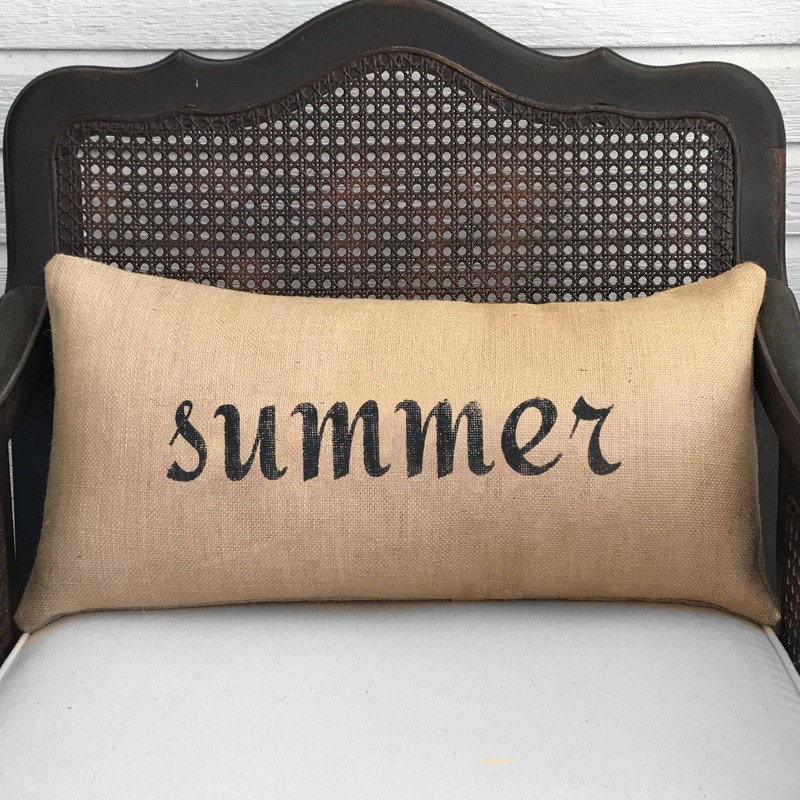 Our handmade seasons burlap pillow is a unique way to change you decor throughout the four seasons. 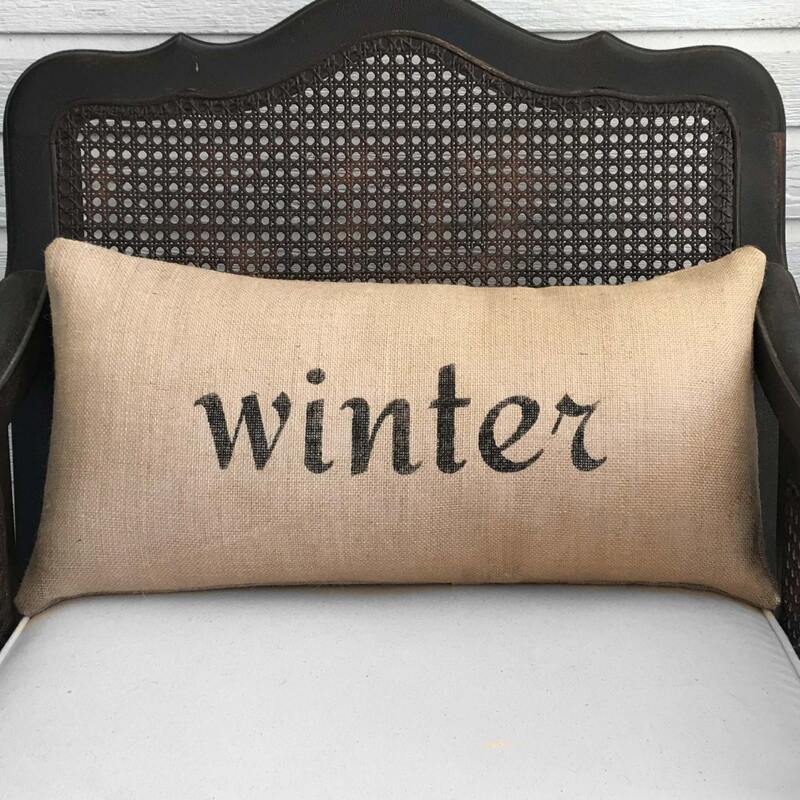 Choose from each of the four seasons, winter, spring, summer, fall or autumn.